A few weeks ago Yahoo sports posted a story that caught my attention (but I am only now getting around to posting it, sorry) about a former world-class speedskater now on a journey to the vowed life as a Franciscan Sister of the Renewal. Kirstin Holum, now Sister Catherine, stands out because she was once a high-profile athlete with promise now (she was at the 1998 Olympics in Japan) she’s devoting her life to Christ and the Church in a new race outlined by Jesus, Saint Paul, Saint Francis and the Church. Prayers for Sister Catherine’s perseverance and for the Sisters of the Renewal. Pope Benedict to Visit Cyprus: what are the preparations? next October in the Vatican. This is yet another example of the Pope reaching out to the local Catholic churches and to the Orthodox Christians, Muslims and political leaders. It is hard for me to say this is a strategic visit but it certainly opens the mind that there are significant reasons in the pope’s mind as to why Cyprus and not another mixed culture. A good reason may be that he’s been to the Holy Land already and that neither Lebanon, Egypt nor Syria are willing to host the pope. At any rate, Cyprus is a logical choice because of the confluence of faith and reason. Latin Patriarchate follows in brief. invitations from many governments and episcopates but cannot accept them all. impulse to relations between the two sides. dialogue at a European, or even global, level. What do you think about this? with the Turkish Muslim minority? It’s natural that people think like that. the contrary, we have no relations. continues to fascinate very many people of every age and every religion. gradually the worldly lifestyle he had practiced until then. implied a decomposition of unity, with the birth of heretical movements. Christ itself, with his radical faith and his enthusiastic love for Christ. On the other hand, however, it is important to note that St.
must wait patiently for the times of the Holy Spirit. Apostles, is obedience to the Word of God also renewed. experience destined to bear outstanding fruits of sanctity in the Church. magnificent way the life of Francis. in the words of St. Francis. 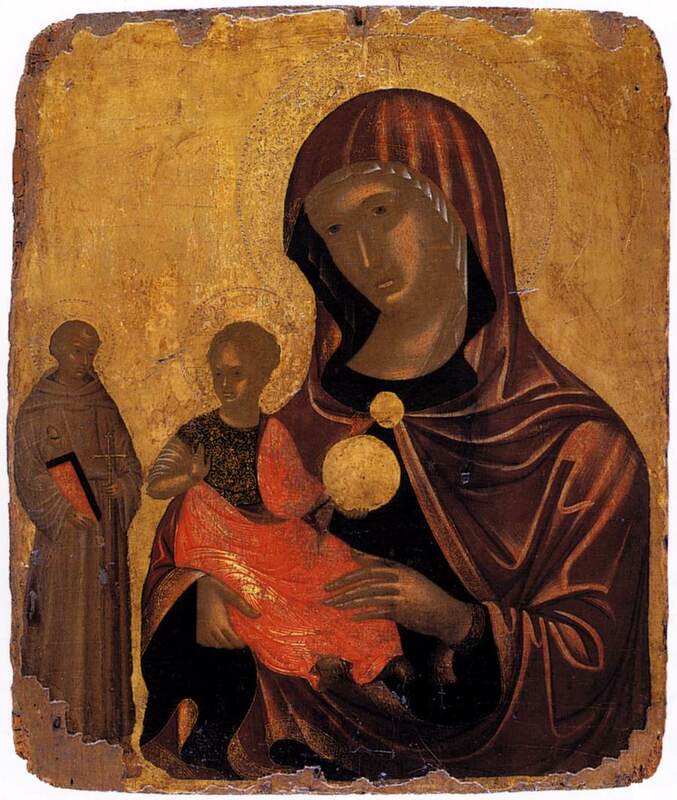 (Francis of Assisi, Scritti, Editrici Francescane, Padua, 2002, 401). Blood of our Lord Jesus Christ” (Francis of Assisi, Scritti, 399). asks us to be pure, to live in a consistent way with the mystery we celebrate. which reality becomes transparent and we can speak of God and with God. the secret of true happiness: to become saints, close to God! and Master” (Francis of Assisi, Scritti, 163). life which this anniversary year has helped to foster. brothers and sisters with everyone and with all of creation. brothers, and the other brothers must also serve and obey their minister. reconciliation and peace, preaching primarily by deeds. those who will come after us in the future! OFM, is a professor of Franciscan Studies at the Franciscan Institute, of St.
article was published in the the Winter 2009 issue of The Antonian. At the beginning of the new year, we look at the history of Christianity, to see how a history develops and how it can be renewed. In it we can see that it is the saints, guided by the light of God, who are the genuine reformers of the life of the Church and of society. Teachers by their word and witnesses with their example, they know how to promote a stable and profound ecclesial renewal, because they themselves are profoundly renewed, they are in contact with the true novelty: the presence of God in the world. 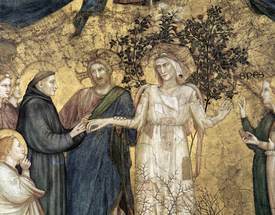 Such a consoling reality — that in every generation saints are born and bear the creativity of renewal — constantly accompanies the history of the Church in the midst of the sorrows and the negative aspects of her journey. We also see come forth, century by century, the forces of reform and of renewal, because the novelty of God is inexorable and always gives new strength to go forward. This was what happened in the 13th century, with the birth and the extraordinary development of the Mendicant Orders: a model of great renewal in a new historic period. They were called thus because of their characteristic of “begging,” namely, of going to the people humbly for economic support to live the vow of poverty and to carry out their evangelizing mission. 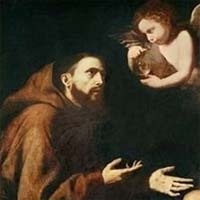 Of the Mendicant Orders that arose in that period, the most notable and most important are the Friars Minor and the Preaching Friars, known as Franciscans and Dominicans. They have these names because of their founders, Francis of Assisi and Dominic de Guzmán, respectively. These two great saints had the capacity to wisely read “the signs of the times,” intuiting the challenges that the Church of their time had to face. A first challenge was represented by the spread of several groups and movements of faithful that, although inspired in a legitimate desire for authentic Christian life, often placed themselves outside of ecclesial communion. They were in profound opposition to the rich and beautiful Church that developed precisely with the flourishing of monasticism. In recent catecheses I reflected on the monastic community of Cluny, which had always attracted young men and, therefore, vital forces, as well as goods and riches. Thus logically developed, initially, a Church rich in property and also immobile. Opposed to this Church was the idea that Christ came on earth poor and that the true Church should be, in fact, the Church of the poor; a desire for true Christian authenticity was thus opposed to the reality of the empirical Church. This brought about the so-called pauper movements of the Medieval Age. They harshly contested the lifestyles of priests and monks of the time, accused of having betrayed the Gospel and of not practicing poverty as the first Christians, and these movements counterpoised to the ministry of the bishops their own “parallel hierarchy.” Moreover, to justify their choices, they spread doctrines that were incompatible with the Catholic faith. 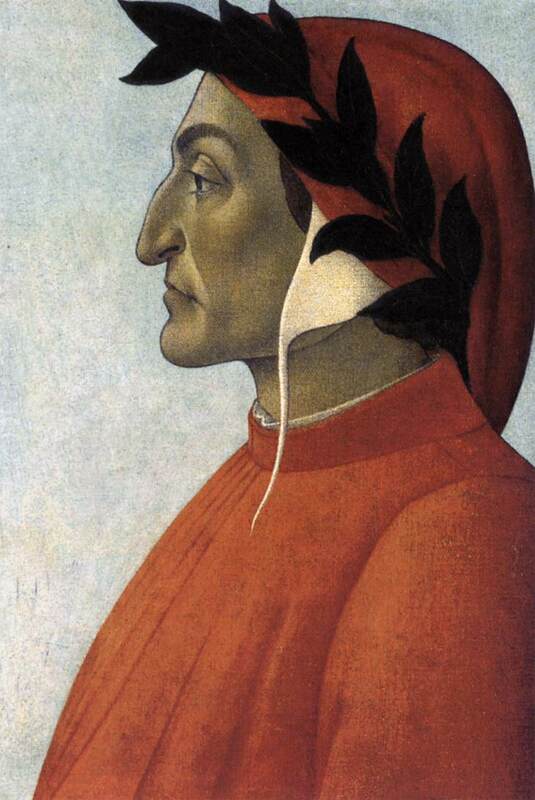 For example, the movement of the Cathars or Albigensians proposed again old heresies, such as depreciation and contempt of the material world — opposition to wealth quickly became opposition to material reality as such — the negation of free will, and then dualism, the existence of a second principle of evil equated with God. These movements had success, especially in France and Italy, not only because of their solid organization, but also because they denounced a real disorder in the Church, caused by the less than exemplary behavior of several representatives of the clergy. On the other hand, the Franciscans and Dominicans, in the footsteps of their founders, showed that it was possible to live evangelical poverty, the truth of the Gospel, without separating from the Church; they showed that the Church continued to be the true, authentic place of the Gospel and Scripture. 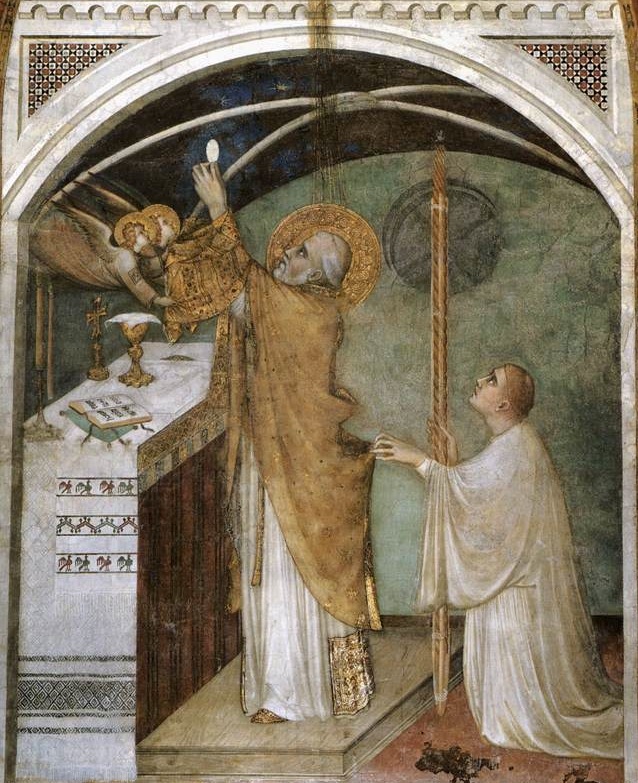 Thus, Dominic and Francis drew, precisely from profound communion with the Church and the papacy, the strength of their witness. With an altogether original choice in the history of consecrated life, the members of these orders not only gave up possession of personal goods, as monks had since antiquity, but even wanted real estate and goods put in the name of the community. In this way they intended to give witness of an extremely sober life, to be in solidarity with the poor and trust only in Providence, to live every day by Providence, in trust, putting themselves in God’s hands. This personal and community style of the Mendicant Orders, joined to total adherence to the teaching of the Church and her authority, was greatly appreciated by the Pontiffs of the time, such as Innocent III and Honorius III, who gave their full support to these new ecclesial experiences, recognizing in them the voice of the Spirit. And fruits were not lacking: The poor groups that had separated from the Church returned to ecclesial communion or, gradually, were re-dimensioned until they disappeared. Also today, though living in a society in which “having” often prevails over “being,” there is great sensitivity to examples of poverty and solidarity, which believers give with courageous choices. Also today, similar initiatives are not lacking: movements, which really begin from the novelty of the Gospel and live it radically today, putting themselves in God’s hands, to serve their neighbor. The world, as Paul VI recalled in Evangelii Nuntiandi, willingly listens to teachers when they are also witnesses. This is a lesson that must never be forgotten in the endeavor of spreading the Gospel: to live first of all what is proclaimed, to be a mirror of divine charity. 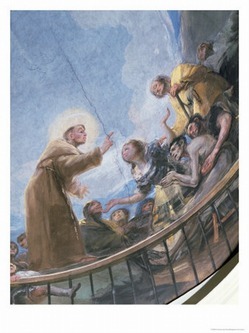 Franciscans and Dominicans were witnesses, but also teachers. In fact, another widespread need in their time was that of religious instruction. Not a few lay faithful, who lived in greatly expanding cities, wished to practice a spiritually intense Christian life. Hence they sought to deepen their knowledge of the faith and to be guided in the arduous but exciting path of holiness. Happily, the Mendicant Orders were also able to meet this need: the proclamation of the Gospel in simplicity and in its depth and greatness was one objective, perhaps the main objective of this movement. In fact, with great zeal they dedicated themselves to preaching. The faithful were very numerous, often real and veritable crowds, which gathered to hear the preachers in the churches and in places outdoors — let us think of St. Anthony, for example. They dealt with themes close to the life of the people, especially the practice of the theological and moral virtues, with concrete examples, easily understood. Moreover, they taught ways to nourish the life of prayer and piety. 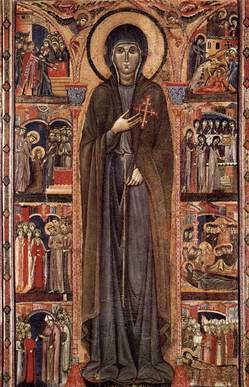 For example, the Franciscans greatly spread devotion to the humanity of Christ, with the commitment of imitating the Lord. 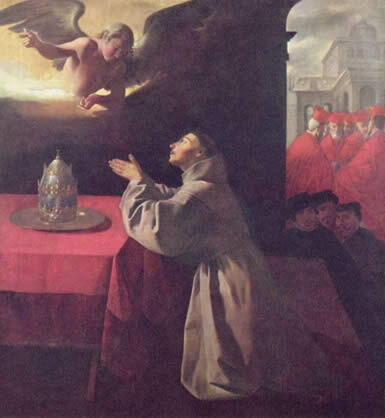 Hence it is not surprising that the faithful were numerous, women and men, who chose to be supported in their Christian journey by the Franciscan and Dominican friars, sought after and appreciated spiritual directors and confessors. 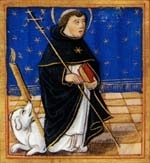 Thus were born associations of lay faithful that were inspired by the spirituality of Sts. Francis and Dominic, adapted to their state of life. It was the Third Order, whether Franciscan or Dominican. In other words, the proposal of a “lay sanctity” won many people. As the Second Vatican Council recalled, the call to holiness is not reserved to some, but is universal (cf. Lumen Gentium, 40). In every state of life, according to the needs of each, there is the possibility of living the Gospel. Also today every Christian must tend to the “lofty measure of Christian life,” no matter what state of life he belongs to! The importance of the Mendicant Orders grew so much in the Middle Ages that lay institutions, such as labor organizations, ancient corporations and even civil authorities, often took recourse to the spiritual consultation of members of such orders for the writing of their regulations and, at times, for the solution of internal and external opposition. 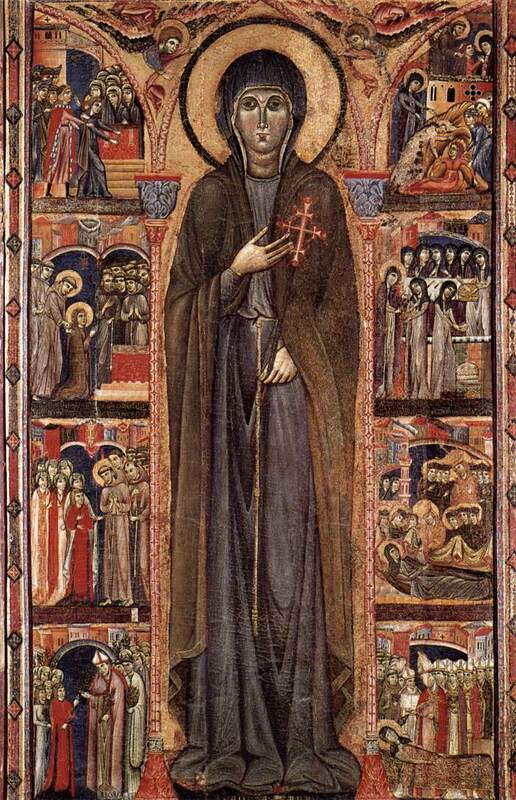 The Franciscans and Dominicans became the spiritual leaders of the Medieval city. With great intuition, they put into practice a pastoral strategy adapted to the transformation of society. Because many people were moving from the countryside to the cities, they placed their monasteries no longer in rural but in urban areas. Moreover, to carry out their activity for the benefit of souls, it was necessary to move in keeping with pastoral needs. With another altogether innovative choice, the Mendicant Orders abandoned the principle of stability, a classic of ancient monasticism, to choose another way. Friars and Preachers traveled from one place to another, with missionary zeal. As a consequence, they gave themselves an organization that was different from that of the majority of monastic orders. In place of the traditional autonomy that every monastery enjoyed, they gave greater importance to the order as such and to the superior-general, as well as to the structure of the provinces. Thus the mendicants were in general available for the needs of the universal Church. 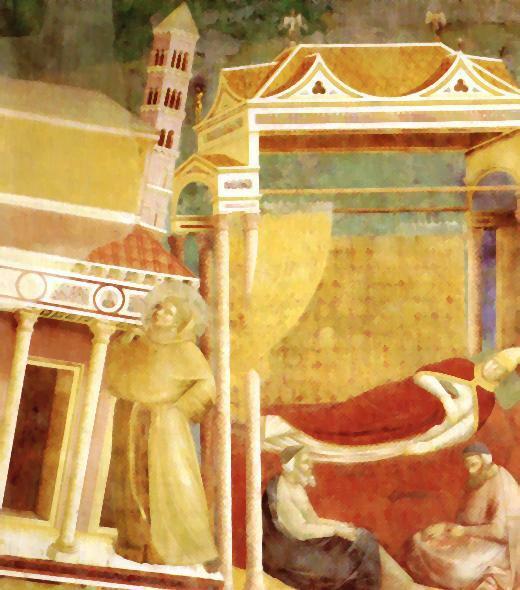 This flexibility made it possible to send friars more adapted to specific missions and the Mendicant Orders reached North Africa, the Middle East and Northern Europe. With this flexibility, missionary dynamism was renewed. Another great challenge was represented by the cultural transformations taking place at that time. New questions made for lively discussions in the universities, which arose at the end of the 12th century. Friars and Preachers did not hesitate to assume this commitment as well and, as students and professors, they entered the most famous universities of the time, founded centers of study, produced texts of great value, gave life to true and proper schools of thought, were protagonists of scholastic theology in its greatest period, and significantly influenced the development of thought. The greatest thinkers, Sts. Thomas Aquinas and Bonaventure, were mendicants, operating in fact with this dynamism of the new evangelization, which also renewed the courage of thought, of dialogue between reason and faith. Today also there is a “charity of and in truth,” an “intellectual charity” to exercise, to enlighten intelligences and combine faith with culture. The widespread commitment of the Franciscans and Dominicans in the Medieval universities is an invitation, dear faithful, to make oneself present in places of the elaboration of learning, to propose, with respect and conviction, the light of the Gospel on the fundamental questions that concern man, his dignity, and his eternal destiny. 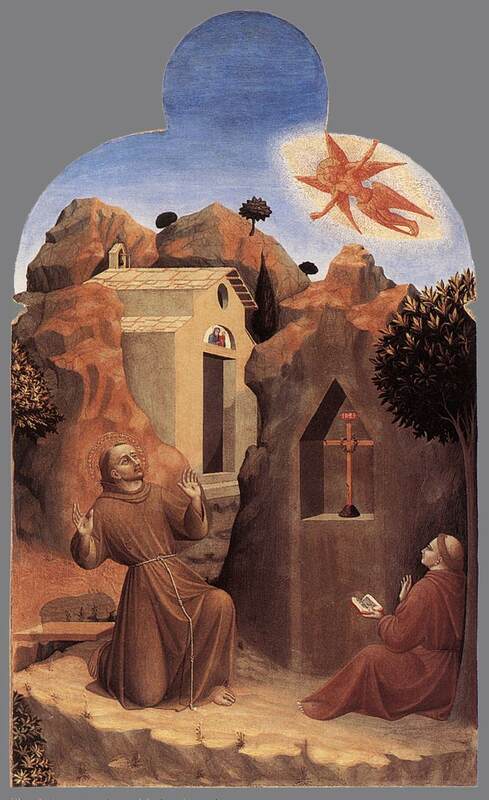 Thinking of the role of the Franciscans and Dominicans in the Middle Ages, of the spiritual renewal they aroused, of the breath of new life that they communicated in the world, a monk says: “At that time the world was growing old. Two orders arose in the Church, from which it renewed its youth, like that of an eagle” (Burchard d’Ursperg, Chronicon). Dear brothers and sisters, let us indeed invoke at the beginning of this year the Holy Spirit, eternal youth of the Church: May he make each one of us feel the urgency of giving a consistent and courageous witness of the Gospel, so that saints will never be lacking, who make the Church shine as a Bride always pure and beautiful, without stain and without wrinkle, able to attract the world irresistibly to Christ, to his salvation.